U.S. Senator Steve Daines, R-MT, answers questions during a trip to the 2017 Montana Legislature. Tester says the current GOP bill is not the answer. So when asked if he is willing to work to fix this proposal or the current law, Tester says yes. If it’s the later, he suggests dropping the politically charged moniker Obamacare. Tester held a press conference in Billings Friday. He was joined by Riverstone Community Health Center CEO John Felton, Vicky Byrd of the Montana Nurses Association, and cancer survivor Barbara Schneeman. All were critical of the Senate Republican’s plan. U.S. 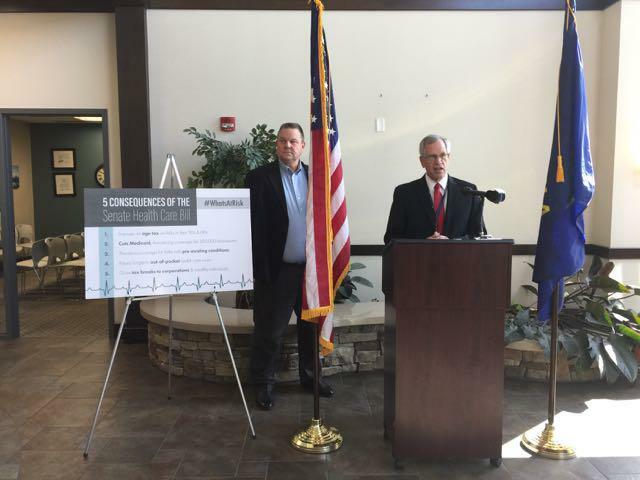 Senator Jon Tester, D-MT, looks on as Riverstone Health CEO John Felton speaks about what would happen to patients if Senate Republicans remove funding for Medicaid expansion under their health proposal. But Democrats are in the minority in Congress. 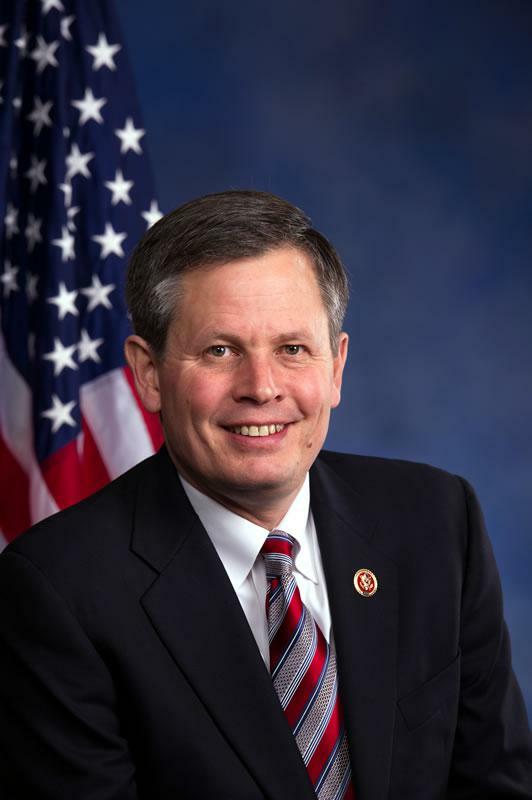 Republican Steve Daines speaks for many in his caucus. 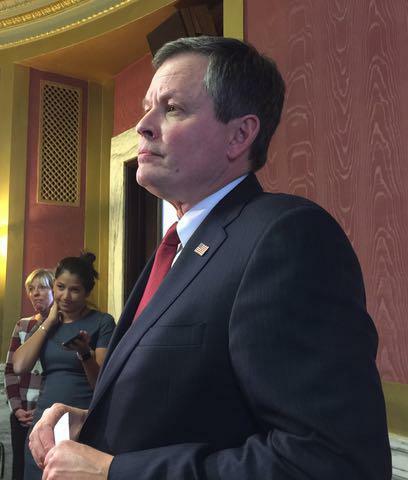 Even with their differences, both Daines and Tester say they will bring Montanans’ voice to the debate and work to get a better bill. Both say they want to protect those with pre-existing conditions. Both also talk about the need for affordability. 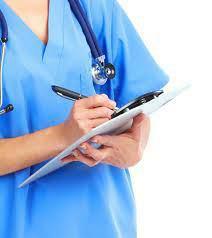 When it comes to Medicaid, there are nuances. Daines says if those 3 objectives are met he moves closer to a yes vote, though as of this week he says he remains undecided. “There’s more than just that,” he says. 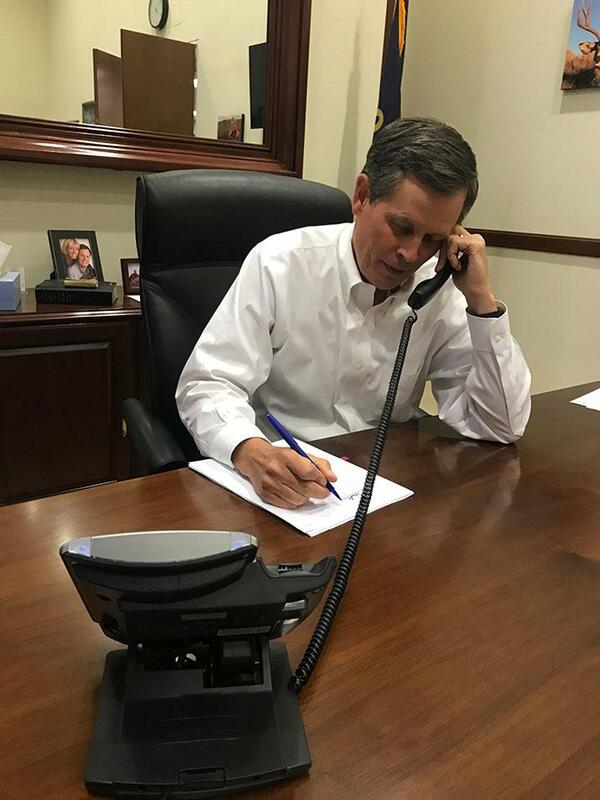 “But I’ve got to check those 3 boxes.” Daines says he’s told his leadership he is undecided because he doesn’t know what the final product is going to look like. 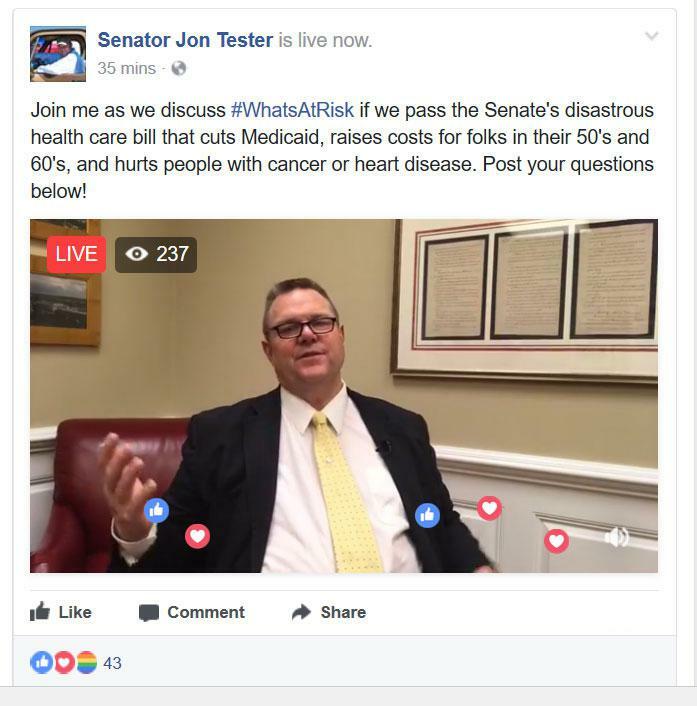 Tester wants to be included in the discussion to rework the current legislation. He warns that as a full supporter of Medicaid expansion. “If the price of admission to get into those discussions you have to get rid of Medicaid expansion that’s just not a direction we need to go to increase accessibility and affordability,” says Tester. He says that’s because Medicaid expansion has helped the working poor, those who earn too much to qualify for traditional Medicaid but not enough to buy their own insurance. Tester says Medicaid expansion has also helped rural hospitals keep their doors open by reducing the amount of unreimbursed medical care they provide. In order for Republicans, who hold a slim majority in the U.S. Senate, to pass the bill only 2 can vote “no” and still have their bill to pass. One option is for Republicans to reach out to Democrats. Both Senators have held public meetings this week to gather input from Montanans. 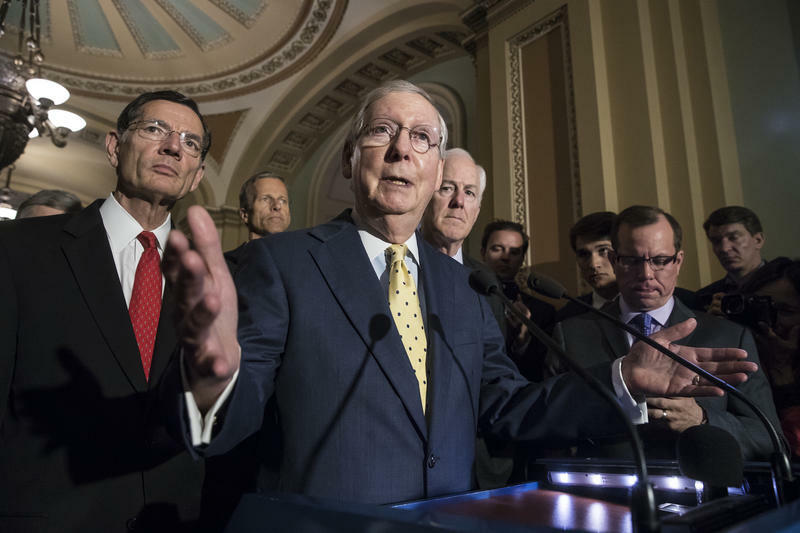 Senate GOP leaders had hoped to vote on their proposal this week but lacking the votes for passage a vote is now expected after the July 4th recess.